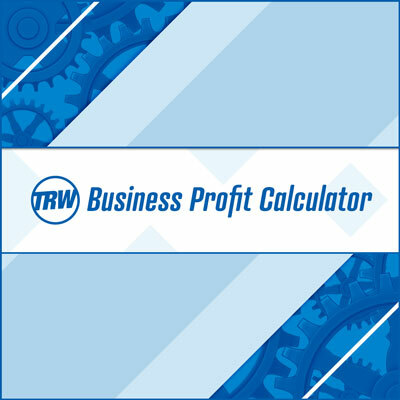 The TRW Business Profit Calculator is the perfect tool to help ensure your custom apparel or decal business is making money. If you’re just starting a business, or even if you’ve been in business for a while, you know it can be difficult to keep track of all your costs, have confidence you’re pricing products correctly, and know that, in the end, you’re bringing home a profit. This calculator is designed to fix that problem by tracking all your costs for a job (even the ones you may not think about), managing your discounts (including bulk discounting), and suggesting the right retail and sale price based on these factors and your desired profit margin. Watch this video below to see how this unique industry tool can help your business. Learn how to set up your calculator by watching this video. The TRW Business Profit Calculator is a .xlsx file and is compatible with Microsoft Office Excel 2007 and newer. This product is not guaranteed to work with versions older than Excel 2007.